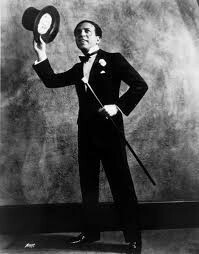 Theodore Leopold Friedman, better known as Ted Lewis, was an American entertainer, bandleader, singer and musician. He led a band presenting a combination of jazz, hokey comedy and schmaltzy sentimentality that was a hit with the American public. He was known by the moniker "Mr. Entertainment" or Ted "Is Everybody Happy?" Lewis.